Mamma Agata’s tomato sauce recipe is our go-to pasta sauce, and the base for many of our easy weeknight dinners. 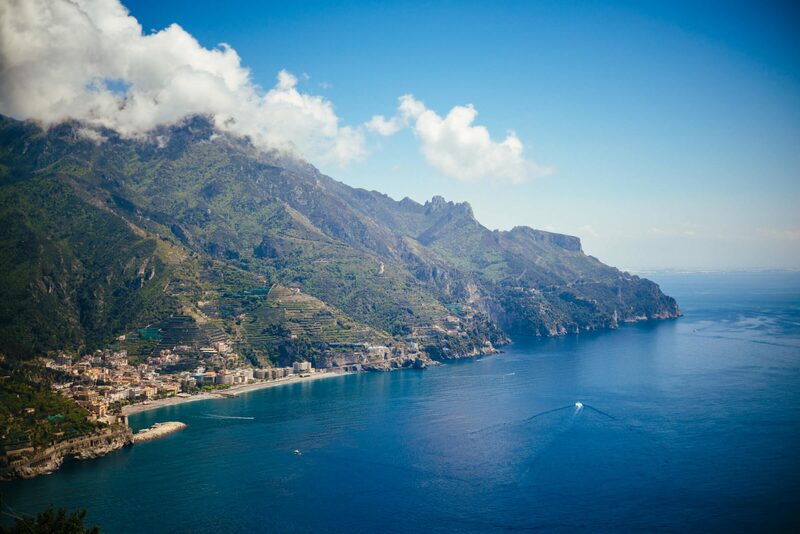 This famous Italian grandmother taught us how to make her authentic Italian recipe on our first trip to Ravello, high in the mountains of the Amalfi Coast. It was a dream to cook in an Italian grandmother’s kitchen (read more our visit to her kitchen here), learning her “secret sauce recipe” that she would make glamorous 1960s figures including Humphrey Bogart, Elizabeth Taylor, and even Jackie Kennedy, who would holiday in Ravello. We can just imagine them sipping martinis or Aperol Spritzes on the sun-drenched terrace overlooking the Mediterranean, while Mamma was cooking up a storm in the kitchen. Like most authentic Italian recipes, Mamma Agata’s tomato sauce is simple, and you only need 4-5 ingredients. It’s so easy, that we even made it for our small dinner party on first night in Sicily (read more about it here) after three planes and 24 hours of traveling from San Francisco. It is very important to use good jarred tomatoes. We conducted our own blind taste test to find the best tomatoes available (see the results here). Did you know that it’s important to match your pasta shape with the appropriate sauce? For this sauce, we typically use spaghetti, bucatini, or penne. You can learn more about pairing sauces with this guide — it’s a staple in our kitchen and we strongly suggest buying a copy if you have an interest in Italian food. Mamma Agata also has her own cookbook filled with family recipes, including lemon chicken and lemon cake. If you live in the Amalfi Coast, of course you need lots of ways to use their famous lemons. 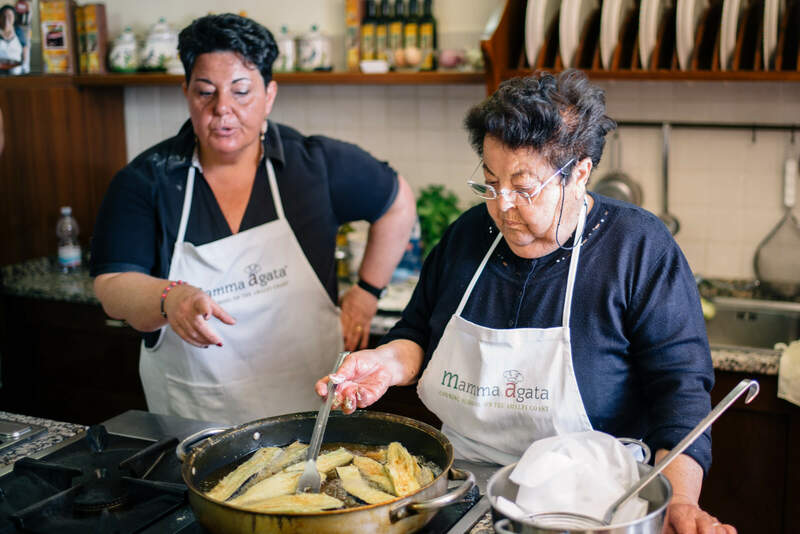 You can visit Mamma Agata’s cooking school in Ravello or order her cookbook straight from Italy. 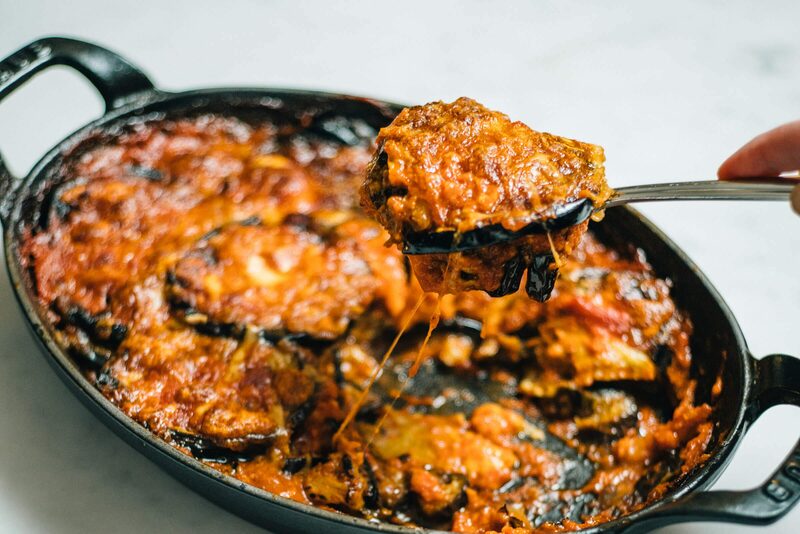 Get Mamma’s complete famous sauce recipe, plus our most popular Italian summer recipes, by signing up for The Taste SF email list below. Mamma Agata’s Secret - The Roma tomatoes used to make this sauce should be vine ripened so they are sweet. Sweet tomatoes are the key ingredient in many Italian dishes. If the tomatoes are not ripe and sweet, we recommend adding a spoonful of sugar to sweeten the sauce. As soon as you add the Roma tomato puree to the pan, add the 10 vine-ripened cherry tomatoes to the pan as well to further enhance the flavor of your sauce. This is an important step and you will be amazed how wonderful the sauce tastes in the end! Here are some other ways that we use Mamma Agata’s sauce: eggplant parmesan, vodka sauce, stuffed shells, spicy arrabbiata sauce, and ricotta gnocchi. I’ve never used cherry tomatoes in my sauce before. I’m definitely going to try this next time. Thanks for sharing. I hadn’t either until this recipe! She said it’s important to use ripe ones. If I don’t have great ones (like in the winter) I leave them out, but love to make the original recipe when possible. Enjoy!!! So glad we could share it! It has become a go-to staple in our house and with our family. Everything Mamma makes is amazing and simple! Yes! Ingredients and simplicity are key! It’s amazing how regional cooking is in Italy. We even discussed with them the difference of mozzarella made with cow milk and made with buffalo milk. People in Salerno will use buffalo but people in Amalfi are closer to cows and will tend to use cow mozzarella. There is nothing in the world like fresh tomato sauce. I wish we could grow tomatoes here in Alaska to have the freshest possible. Agreed! When we lived in Chicago we missed growing tomatoes ourselves! You can get some pretty fantastic canned/jarred ones. If you can’t find them in Alaska, I know you can order Italian ones via Mamma Agata or Eataly and they both ship. Thanks! That was Mamma’s first selfie ever! Here’s also one with Chiara. We had a fantastic time and now have wonderful memories. There is no chopping! (super simple) You use whole garlic and whole basil. So glad you had a wonderful trip! What parts of Italy did you visit? Let us know how it turns out and if you have any more questions! Ooh that sounds fantastic! I’d love to have our own garden someday. You can still try the recipe and just leave out the cherry tomatoes. We just made it this week and it was great. Sometimes you just need a good red sauce, especially when it’s chilly out in the fall or winter. Thanks, Manju! Let us know if you have any questions. We hope you enjoy! I first read this post about a week ago and tonight I was watching a travel programme on TV and Mamma Agata was surprisingly on it. Such a coincidence. I’m looking forward to trying her tomato sauce. Just one question, was there any seasoning added (salt, pepper etc.) Thank you for sharing. Hi Nick, Wow that’s great! What a coincidence. The recipe in her book does not list salt, however, after it’s simmered, we salt it to taste. There are no other seasonings needed. It’s so simple and delicious. Let us know how you like it and if you have any more questions! We have a spicy version we’ll be sharing in the next few weeks with a really cool pasta that we found from Calabria. Can anyone advise if you also purée the cherry tomatoes??? Thank you! You’ll want to use tomato puree and you can either take out the cherry tomatoes with a spoon or leave them in. We usually discard them. No pureeing is needed in this recipe. We hope you enjoy! You can download the tomato sauce recipe from our website and it’s included the book too. It’s not a spicy recipe though. Let us know if you have more questions. Their food is fantastic and a must if you plan to visit the Amalfi Coast anytime soon! Hi! Should the tomatoes have the skin removed before they get puréed? Hi Amy, We usually use jarred pureed tomatoes. If you are making you’re own, we’d probably remove the skin.